This lamp is entirely handmade except for the wiring. It is shown in padauk wood from the Andes mountain range in South America. 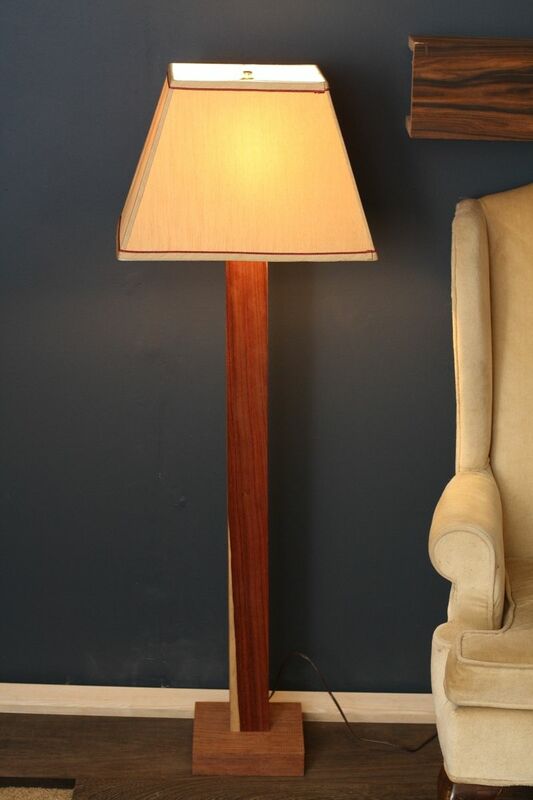 The lamp shade was purchased from a local interior design store and just so happen to work famously with the wood.